LUXURYNEWS: So many beautiful things! It's now my second day here in Italy. I still feel relaxed, get some color, had delicious food and bought two gorgeous pieces from Missoni and Francesco Scognamiglio. You will see it in the next days. 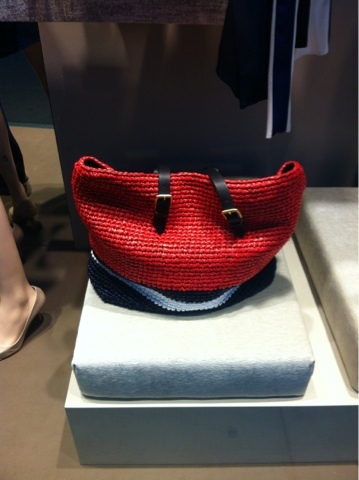 It's very hard to contain me:) Today I saw this amazing bag from Marni. Felt immediately in love. So chic: for city and beach. Love the colors. So will see what they have else. Remember I'm here for 2 1/2 weeks. Wish you all an amazing summertime!